Welcome to the Dynamic and Smart Systems Laboratory (DSSL) at Tennessee Tech! The Dynamic and Smart Systems Laboratory is directed by Dr. Steven R. Anton and seeks to advance the knowledge of smart materials and dynamic systems. Our research explores various smart materials (piezoelectric, thermoelectric, solar, electroactive polymers, etc.) for energy harvesting, structural health monitoring, sensing, and actuation. 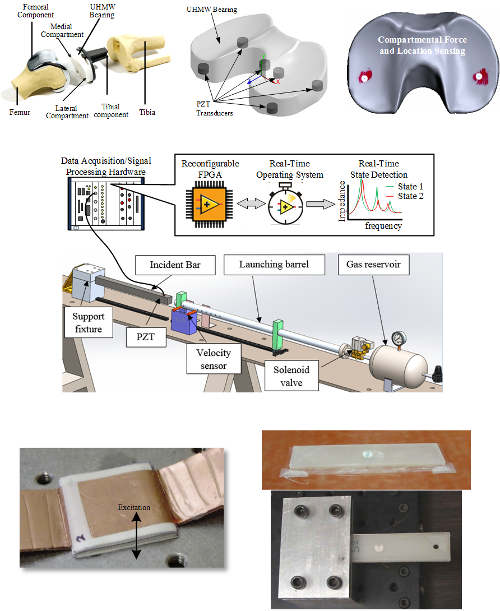 Thrust areas include self-powered biomedical sensing, real-time state detection, and piezoelectric energy harvesting. Additionally, we are interested more broadly in vibrations, structural dynamics, and modal analysis. We thank our sponsors for supporting our research activities and for providing opportunities for collaboration.